Tony's early career was in farming, working up to farm management. Thereafter spent 13 years as a stock agent for PGG, looking for a change, moved to Nutritech International as an Area Manager specializing in pig and poultry. 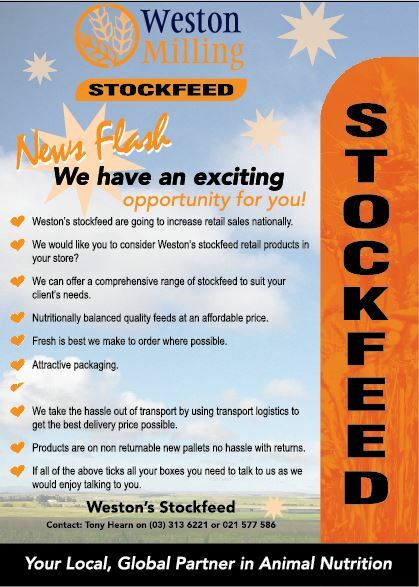 Tony joined Weston's Stockfeed NZ in 2006 as sales manager ,covering NZ and in December 2011 was promoted into the role of site and operations manager of the feed mill at Rangiora.